The actor Onoe Koisaburô I held this name from the 11th lunar month of 1796 to the 3rd lunar month of 1809. 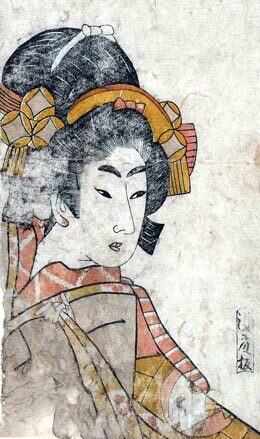 Son of Onoe Koisaburô I, he made his debut on stage (hatsubutai) and took the name of Onoe Koisaburô II in the 11th lunar month of 1812. 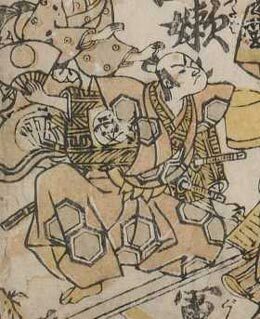 He was active in Kamigata up to 1832. No record afterwards. 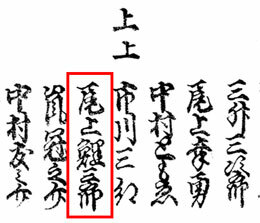 A minor Kamigata actor held the name of Onoe Koisaburô between the end of 1854 to 1876. No record afterwards. 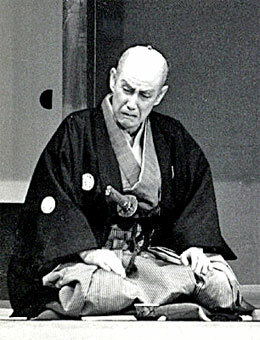 The actor Onoe Koisaburô III held this name from May 1920 to December 1974.